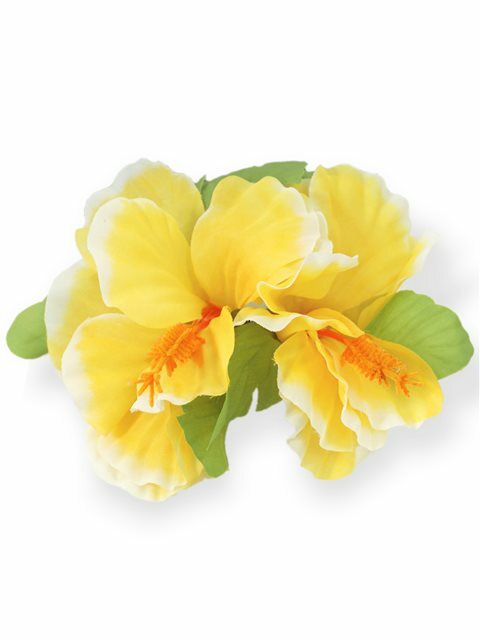 Purchased Item: Yellow Double Large Hibiscus Clip 6"
It was just a pictured. Very pretty and a nice size. I wish the flowers were stiffer and less likely to fray.